Deprecated function: The each() function is deprecated. This message will be suppressed on further calls in menu_set_active_trail() (line 2404 of /home/icsncorg/public_html/dl/includes/menu.inc). He holds a common refrigerator magnet to the tube, and suddenly sludge drifts upward along the side of the glass. Unsatisfied with the display, he quickly prepares a slide with a water droplet and places it under a microscope. On an attached video screen, the bacteria appear as a scattered constellation of black dots. When Komeili holds the magnet up to the slide, the bacteria rush to gather at the edge of the droplet. Like a line of dancers, they follow the magnet, then fall back into disarray when it’s removed from the glass. If you didn’t know that bacteria could be magnetic, you’re not alone. In fact, Komeili’s work is bringing attention to a once obscure corner of the biological world, and even causing scientists to reevaluate basic facts about the structures of single-celled organisms. Think back to your introductory high school biology class: Bacteria were probably presented to you as one of the earth’s simplest life-forms, lacking nuclei and defined organelles. Look a little deeper than Bio 101, however, and you’ll find that these organisms aren’t really so simple after all. Unlike Vikings, bacteria aren’t looking for new lands to conquer, but magnetism does help them find resources and hospitable environments. Take a typical lake, for example, in which oxygen levels are highest near the surface. Magnetotactic bacteria prefer areas with a lower oxygen content, Komeili explains, “so they swim up and down along the magnetic field lines, and then they decide where to stop.” Like playing Marco Polo in a swimming pool, they’re continually sampling their environment to move in more promising directions. Komeili studies magnetosomes, structures that allow bacteria to navigate in relation to the earth’s poles, just like Viking mariners using lodestones. The presence of what is essentially a “magnet factory” within some of these cells doesn’t square with the sort of basic biology that high school students have been taught for generations. The magnetosomes don’t spring up magically, Komeili says. Rather, “the bacteria are making this compartment, and then within that compartment they’re making the magnetic particle.” And that level of complex organization just isn’t something that organisms this simple were thought to be capable of. Until, that is, Komeili and his colleagues began their groundbreaking research. Establishing the basic science that undergirds the magnet factory has been the thrust of Komeili’s inquiry. This has been painstaking, multifaceted work that required figuring out the genetics that control the magnetosome formation process. With those basic tools in place, the researchers then began changing one factor at a time in their bacterial “lab rat,” to reverse engineer how the magnetosome is created. The study of magnetic bacteria is still in its relative infancy. Komeili did a search of PubMed, the scientific database, and between 1975 and the early 2000s only one or two papers per year matched the term “magnetotactic bacteria.” “In the last five or six years, though,” he says, “you have 50 to 75 papers a year with that search term.” And many of those build on the foundational work being done in the Komeili lab. There is already great promise for practical applications of magnetotactic bacteria. In the field of environmental remediation, they can be used to bind toxic heavy metals such as chromium, neutralizing them and speeding cleanup. Geologists and paleontologists are also eager to do more work with them: The orientation of fossilized magnetic bacteria provides valuable information about continental plates and the history of the earth’s magnetic poles. But perhaps the most exciting potential is in the field of cancer detection and treatment. One of Komeili’s colleagues at Berkeley is Steven Conolly, a professor in the Department of Electrical Engineering and Computer Sciences who is working on a new technology called magnetic particle imaging. Back in the laboratory, Komeili’s enthusiasm for basic science is infectious. Although the work is complex and time-consuming, the mood in the lab is light, with frequent social events and holiday parties, not to mention the presence of every possible magnetic toy on the market. That energy extends beyond the lab and into the classroom, where Komeili teaches a well-regarded undergraduate microbiology course that’s small enough to give him plenty of one-on-one time with budding scientists. And unlike the microbiologists of yesterday, Komeili maintains an active Twitter presence @micromagnets, often highlighting the work of other people in his field. In part because of his own research—and in part because of his upbeat attitude and collaborative nature—magnetosomes are beginning to gain wide renown. 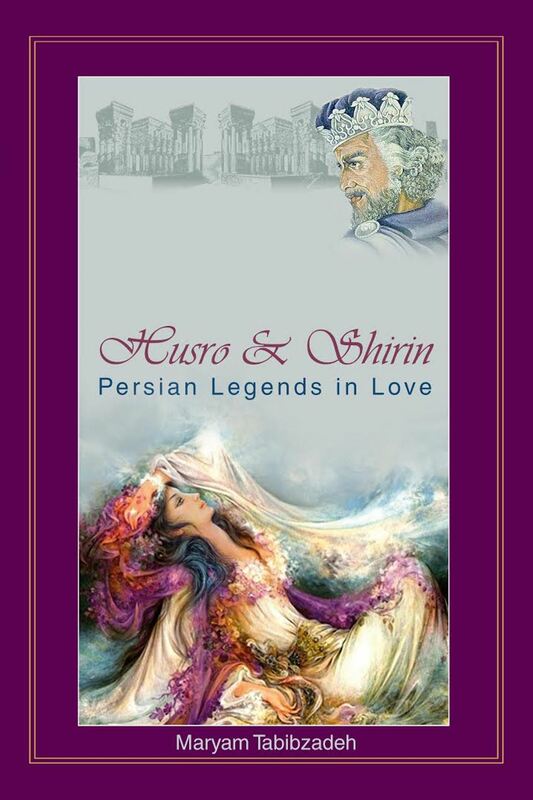 Please join us to congratulate Mrs. Maryam Tabibzadeh on her latest book release - Husrō and Shirin. March 2018 (RALEIGH, NC) - Maryam Tabibzadeh has released a fascinating historical saga of the love affair between the king of the Persian empire and the princess of Armenia, based on a true story which is set in the 6th century. Husrō and Shirin follow the individual lives of three people across three cities, exploring the intimate details of their lives in Iran during this period. Through the loves and losses of these characters and the telling and retelling of the stories, the reader is allowed to experience Ancient Persian culture from the inside. From the architecture of the palaces to the rules governing relationships between men and women, the texture of this rich culture permeates the book and interweaves the realities of the time and place with the lives of these characters. By highlighting the importance of poetry in Persian culture, there are poems/songs throughout the novel which speaks of the love, tragedy, and joy that these characters experience over the years. Speaking from a place of great familiarity with the culture, Tabibzadeh takes the reader through time to experience the feeling of these characters. Describing the sources of inspiration and material for her novel, Tabibzadeh credits “This novel is the translation of beautiful Epic verses written by Nezami the famous Persian poet in the 12th century based on the true love story that rivals the Romeo and Juliette and is sweeter than any other romance you have ever read. I got some facts from another famous Poet Firdausi in the 10thcentury also. The resulting novel offers readers a glimpse at an Iran 1400 years ago that is much deeper than the headlines and much broader than the preconceptions that dominate Western media. Please join us to congratulate Troy Homesley, son of Fariba and Cliff Homesley, and brother to Persia, Cyrus, and Darius, who has been named Editor in Chief of the Carolina Law Review at the University of North Carolina Law School at Chapel Hill. Troy attended UNC-Chapel Hill undergraduate as a Morehead-Cain Scholar, graduating with Honors. He has recently accepted a summer internship with the lawfirm of Cravath, Swaine & Moore in New York City. Please join us in congratulating Aram Lindroth, the winner of the 2016 Chapel Hill Philharmonia Young Artist Concerto Competition! Congratulations also, to Aram’s parents, Dr. Katayoun Tabrizi and Professor Scott Lindroth, vice provost for the arts at Duke University. Aram will join the Chapel Hill Philharmonia on their May 1st evening concert in Chapel Hill, performing Beethoven's Concerto No. 3 in c minor. Please join us to congratulate Dr. Aidin Fathalizadeh, recipient of an award for helping in the development of the world’s strongest and lightest material at University of California at Berkeley. Aidin is son of Mr. Hassan and Mrs. Mahnaz Fathalizadeh who reside in Raleigh. Aidin was one of the star students of ICSNC Persian School who continues to bring happiness to family and friends with his many achievements in life. Please join Iranian Cultural Society of North Carolina to congratulate our very own, the talented Erika Kymia Nawabi who is the winner of the Next Great Artist, season 2 of "WORK OF ART: THE NEXT GREAT ARTIST" reality show on Bravo Channel. Fourteen of the art up-and-coming artists came together to compete for $100,000 and a solo exhibit at the world renowned Brooklyn Museum. Kymia is the winner of this competition. Congratulations to Kymia and her family.